SLEEPS 4 1 1 OF 2 PROPERTIES COMBINED THEY CAN SLEEP UP TO 7 GUESTS Both historical properties have both been lovingly converted; combining the original historical character of a stone-built double storey Wesleyan Chapel dated 1889 with contemporary design to give genuine charm and comfort for a truly magical stay. Set on the edge of the peaceful village of Lee Bay it offers breathtaking scenery and cliff-top coastal walks with unrivalled scenery from your front door. You will be a 10 minutes drive from the popular long sandy beaches of Woolacombe and Croyde. The location is also perfect for exploring the Tarka Cycling Trail a little further on is the National Trust area of Heddons Mouth and on to the wild expanses of Exmoor. It is great for dog walking romantic evening strolls and rambling. When the tide is out Lee Bay reveals a sandy beach ideal for the children offering swimming canoeing rock pooling mermaids and even pirates have been rumoured to have been seen! In the evening take a stroll to the Grampus Inn which serves local food real ales and fantastic cream teas. 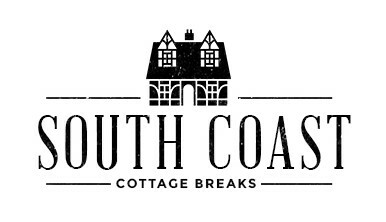 In fact you will find all the ingredients for the perfect break in North Devon right on your door step. Both properties are fully self-contained and have their own private entrance and charming gardens to relax in and enjoy. If you are hoping to go away with family or friends they can be booked together to sleep a total of 7. This double booking gives the luxury of space and privacy. They are both approached by a number of stone steps and care should be taken. Outside: each property is securely fenced and gated with a gravelled area to the front and side. Sturdy garden furniture and BBQs are provided for both properties. Shared utility room: with washing machine tumble dryer and fridge/freezer. Amenities: roadside parking for 1 car per property located downhill with further safe parking found in the village car park a short distance away. Bed linen towels and electric included. Modern central heating and open fire makes this an idyllic cosy short break hideaway for the autumn / winter months. During the winter months there is a complimentary basket of logs available for guests. Complementary local newspaper. We regret there is no smoking in either property. 1 well behaved dog welcome. Flexi stairgates are fitted as standard. Location: Local shop 3 miles beach village car park and pub are within walking distance. Beautifully refurbished and features 3 magnificent double storey original stained glass windows that allow the light to flood into the spacious open-plan layout. Twin wooden staircases lead to the THREE bedrooms: 1 galleried mezzanine double 1 double and 1 single. Bathroom: newly fitted with large stand alone power shower full length bath and WC. Lounge/kitchen/diner: spacious and open-plan with double sided woodburner and stunning stone chimney creating a great shared space with large flatscreen TV DVD modern hi-fi system with iPod and Bluetooth connectivity collection of CDs selection of DVDs and traditional board games for all our guests to use. Six seater dining table. Well fitted and fully equipped kicthen with modern fan oven microwave fridge and dishwasher. Outside: stroll through the sunny south facing patio area and BBQ area discover a sloping grass lawn and terraced flower garden with outstanding views across the top of the valley out towards the sea. Amenities: Wi-Fi. Additional supplies of logs can be purchased at 40 per week requested pre-arrival direct to the owner.